Cerfa held its annual symposium at the Instituto Cervantes in Berlin on 7 November with the title: "A Guide to Research funding in Germany". With this, it was about helping scientists living in Germany to find funding for their projects. The event was attended by around 70 people, including members of CERFA, other Spanish scientists and international scientists. Cristina Conde de Beroldingen, director of the Instituto Cervantes in Berlin, and Sergio P. Ebron, President of Cerfa, welcomed the attendees. The first talk was given by Maike Lukowiak, from Research funding Support Service at the Freie Universität Berlin, as an example of how the university can help us get funding. Lukowiak spoke of the particular case of the FU Berlin, and the services they offer, but we can find similar services in each of the many other German universities. Although they usually focus more on the technical aspects than on the application's scientists, it serves as the first review before a scholarship application is sent to the appropriate organization. They help to take into account maturities, structure the application clearly, or optimize the presentation of the CV, among other things. Anja Ruhland is the head of federal funding Advisory Service, which serves as the first point of contact for federal funding, which is responsible for funding projects for applied research. To be able to apply for one of their scholarships, the project needs to have a clear goal, and to bring a new benefit. Scholarships are not fully open in terms of discipline: the proposal has to fit within the subject matter required for each scholarship. The presentation of the idea (a short draft) must be submitted prior to the formal scholarship application. This streamlines the process and reduces work to applicants. On the other, it should be considered that in the best case, they will spend 6 months between the first draft and the final application, although sometimes it can take more than a year. It is important to remember that you cannot submit an application on an individual level: you need an organization that supports it, and most applications are collaborations, usually with companies. It is essential to have a good structuring and a good previous approach to the project to be presented. It can also help to include the name of the person who will unwrap each task within the project, in detail. Marc Reznicek, the director of DAAD-Madrid was the third speaker of the Conference. The DAAD German Academic Exchange service (or Deutscher Akademischer Austauschdienst, in German) is independent of the Government of Germany, so it also has an independent policy. It is responsible for the individual financing of people of non-German nationality who want to develop their careers in Germany, or people who are working in Germany (with or without German nationality) and want to find another country to continue their careers Professional. If you are a Spanish researcher working in Germany, you can apply for some of these scholarships to be able to work in a third country. Just be aware that they do not grant scholarships to people who have resided for more than a year in Germany, and that you cannot use mobility scholarships to return to your home country. Guillermo Orts-Gil is scientific coordinator of FECYT in Berlin. He presented a talk titled "The Spanish Foundation for Science and Technology and its Crowdfunding Program" to explain Crowdfunding's proposal initiated by FECYT in Spain: precipitates. It is a platform designed to promote the collective funding of science. In the same way that many other non-scientific projects have been able to develop thanks to personal contributions, precipitate wants to be a means to achieve the same in research projects. Although it is an option to support a project, it does not pretend to be the only source of income. We were also introduced by the Sync agency, the first state-owned public agency specializing in Spanish-language scientific, technological and innovation information. It is presented as a digital magazine that disseminates current news. 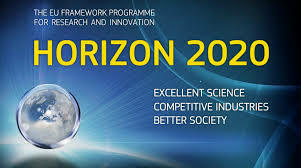 Izaskun Lacunza, explained the work done by the European office in Spain to support institutions and researchers within the framework of the HORIZON2020 programme. The European office is an institution of connection between the country and the European institutions. He advised to include in the application Horizon2020 scholarships, a responsible for research and innovation, gender equality, scientific education, commitment to society, open access (everyone must have access to the development of the project), management Not only for the scientists, but for other members of the hierarchy to take into account. Finally, the symposium was closed with the talk of Carlos Alos-Ferrer, Professor of Economics (University of Cologne) and Speaker of DFG-Research Unit "Psychoeconomics". Alos-Ferrer gave very good guidelines on what to take into account to write a DFG application and which scholarship is best suited for each applicant profile. He emphasized the need to have prior publications in the field of research (minimum 10) for which a scholarship is being applied for. From Cerfa, we want to thank all the speakers and the institutions that represented for giving us their time, to all the attendees for their interest in the talks and for their questions and contributions, and finally to the Instituto Cervantes in Berlin and to FECYT for the Collaboration in the organization of the event.